Remember when a white boy made you love college and want to attend it? And when you got there realized it wasn’t like his music video? Yeah I think that happened to a lot of people, but enough of all that. The mainstream audience may only remember Asher Roth for his hit “I love College” but he graduated college and now is of one of Hip Hop best young lyricists, with a complex delivery. Pabst & Jazz consists of great production by Blended Babies the beats on this mixtape are great if you’re into smooth/mellow beats. Asher is also a great lyricist his flow and rhyming skills are impeccable, he reminds me of a smart new school Big L. If you’re vocabulary and common knowledge isn’t up to par you won’t like him, because people don’t like what they don’t understand. This mixtape has its pros and cons. Cons: being that it has too many features including Action Bronson, Chip Tha Ripper, Casey Veggies, A$AP Twelvy and plenty others, also there are a few tracks that were basically skits which isn’t needed at all on mixtapes. 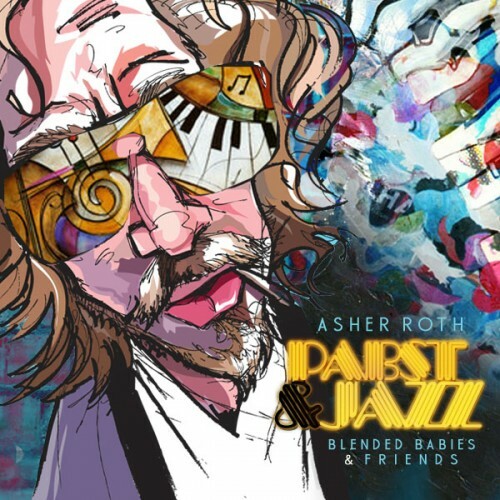 The pros: if you’re looking for lyrics, delivery, flow, beats, good hooks Pabst & Jazz has it. Overall its a great mixtape go download it and stop comparing every white rapper to Eminem cuz Asher is far from being like him and stop the stereotype of Eminem being the only good white rapper listen to this tape and you’ll be proven wrong. Very well written post. It will be helpful to anybody who employess it, as well as yours truly :). Keep doing what you are doing – i will definitely read more posts.